Slam dunk like a PRO with our flexible ProFlex rim! 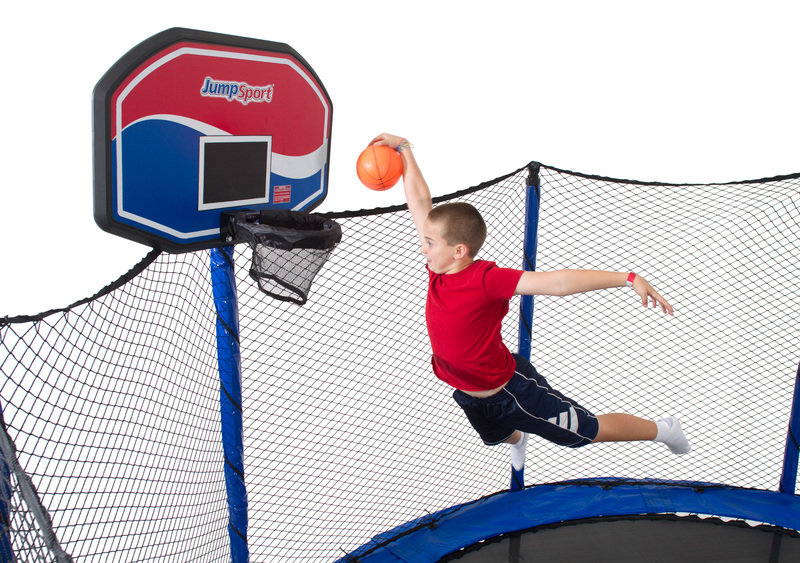 Designed to fit securely on your JumpSport Trampoline Safety Net Enclosure! Includes Backboard, cushioned hoop with Heavy-duty ProFlex hardware, and inflatable ball! The ProFlex Basketball Set is designed to fit with AlleyOop and JumpSport product ONLY. Only installs on a JumpSport or AlleyOOP Sports Safety Enclosure. Will not work on other brands. Includes Backboard, cushioned hoop with Heavy-duty ProFlex hardware, and 5" inflatable basketball.